Matthew Low is one of the strongest players in the National Basketball League. He is a hard worker who puts a lot of time into training, and even more in the weight room. He has been with the Newcastle Falcons for two seasons. 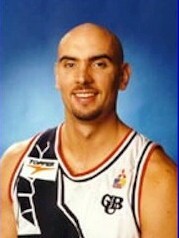 Before he played for the Falcons Low went to the AIS for two seasons and he played in the CBA. Low didn't get much court time in 1997 but with the loss of young Foward Scott Mcgregor and Centre Ben Pepper, Low will get a chance to show his stuff at NBL level for the young Falcons.